Hi, interesting post! Would you be able to share your data set? I’m interested in correlating popularity on photo sites vs camera and settings. When you take into account the 100 billions photos that are annually posted on Instagram, maybe we will have a more correct picture of “the World of Photography”, except if you consider that taking photos with a smartphone is not part of the World of Photography. 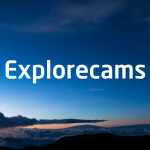 Awesome site, I’m learning so much about my camera and what each lens does. Thank you!! !